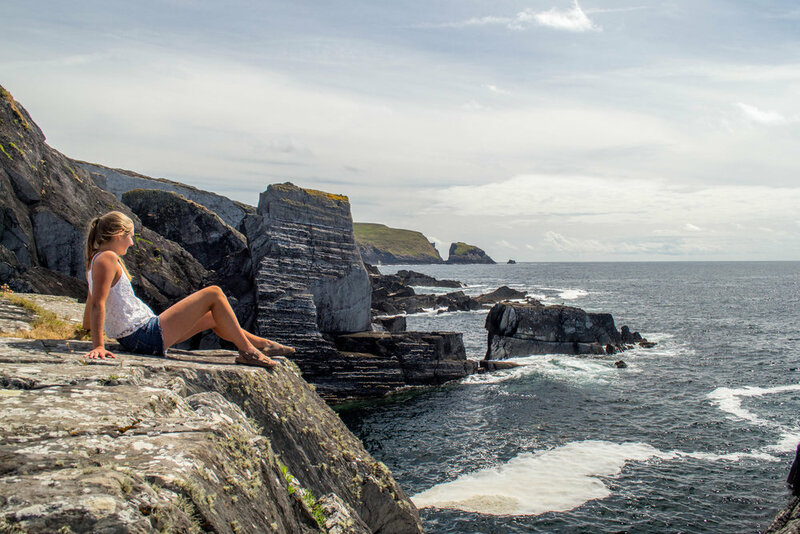 Wild Atlantic Way, Day Five: — Baydream Co.
We woke up early and decided to do some washing as the campsite we were staying at had tumble dryers. We took the opportunity for another free shower, and took our time packing up the van while we waited for our clothes to dry. When we left the campsites we drove around to a little bay called Crookheaven, and Nathan took some photographs while we watched a man dive/belly flop off the harbour! After this, we headed up to Mizen head, which was about a 15 minute drive through the rolling hills to find a busy car park. We paid a €12 fee to walk around the signal station, viewpoints and bridge, and it was well worth it. It was now 2 PM and we were starving after climbing all of the steps and going up and down all of the steep inclines. We drove further around the coast to Three Castle Head, which was a beautiful drive along a twisting, winding road. There we sat on the cliffs overlooking the ocean and had a barbecue, which will unfortunately be the last of our trip, as while cleaning up Nathan dropped the base of the barbecue into the ocean. We packed up the van and drove north towards Dingle, and then around the peninsula through Glenngariff towards Adrigde. 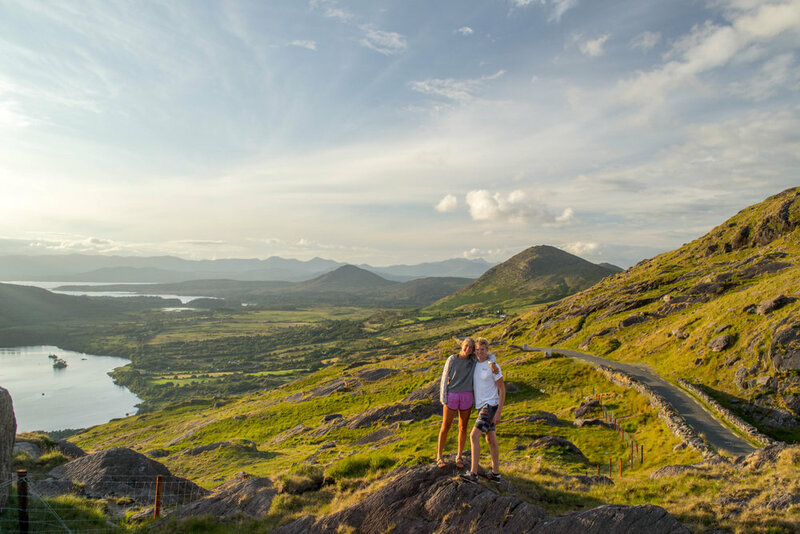 Here we turned right and drove up through the Caha mountains to Healy’s gap, which we agreed was one of the most stunning drives of both of our lives, made even better by the fact that we did it during golden hour. We arrived at a quiet, idyllic campsite at the foot of the mountains, called Cavern lodge which would love to return to in the future. We made dinner which was curry and potatoes, and called it a day.